No. 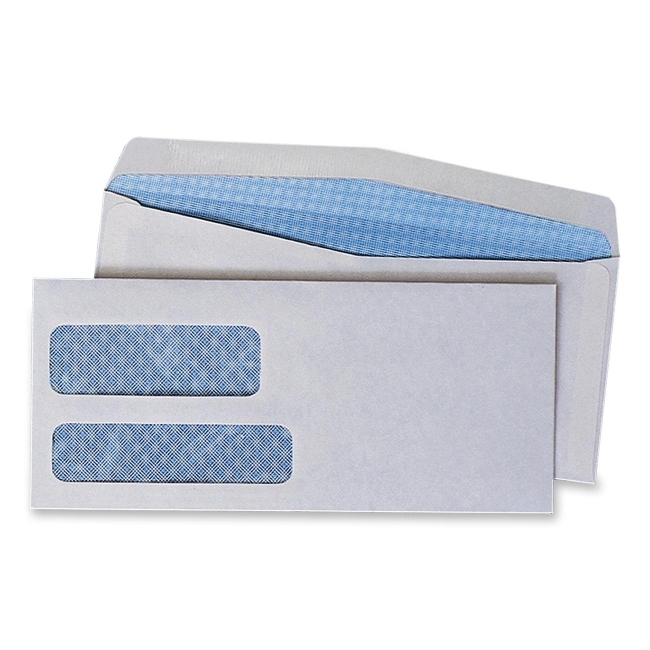 10 envelopes feature two poly windows for the return and mailing addresses. The inside tint provides privacy for sensitive documents. 24 lb. 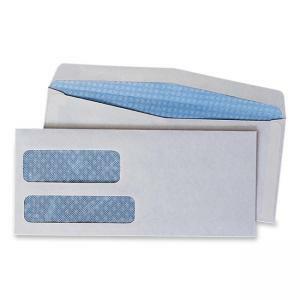 envelopes are compatible with most standard 8-1/2" x 11" computer-generated invoices and statements. The top window (3-1/2" wide x 1-3/16" high) is positioned 3/8" from left and 2" from the bottom of the envelope. The bottom window (4" wide x 1" high) is 3/8" from the left and 1/2" from the bottom. Flaps are gummed for easy closure.